If you cast your mind back to the ancient past of January, you will recall that, for a while, Tide Pods were a pretty hot topic. 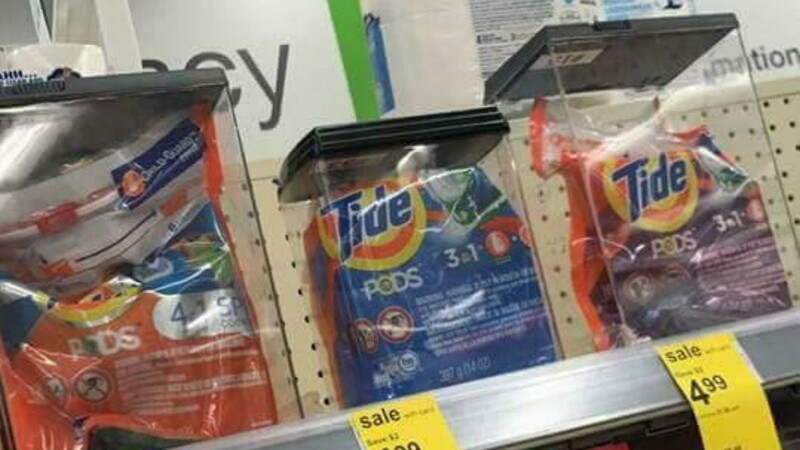 Bored youngsters on social media took it upon themselves to eat, snort, and even smoke the laundry capsules, which came to become known as ‘forbidden fruit’, to the point where their sale was restricted in stores. Now, in an effort to really establish themselves as the new generation of free thinkers, it seems that Gen Z have moved on to a new challenge: snorting unwrapped condoms. As reported by KVUE, an ABC-affiliated channel based in Austin, Texas, the idea is to snort a fully-extended condom all the way, to the point where it comes back out of your mouth. It’s a dangerous craze that is sweeping the nation, and your kid is probably doing it RIGHT NOW! Wow, pretty scary stuff. I mean, snorting condoms does sound pretty dangerous – surely, it’s only a matter of time before someone chokes. So, where are all these videos featured in the clip? This must be a pretty common thing to have gained nationwide news coverage, right? Well, no. If you take 10 seconds to search ‘snorting condom’ on YouTube, it becomes apparent that this story is little more than a storm in a teacup. The first two videos are from news outlets, and have been published in the last 24 hours. This includes the Fox video above. The only videos of people actually snorting condoms are from 4 years ago, and many of them appear to be the same videos repackaged by different channels. So, in essence, this looks like a lame attempt to smear a generation that hasn’t even come of age yet. Unlike the Tide Pod phenomenon, which was ubiquitous enough to warrant the insane amount of coverage it got, this condom challenge story is an attempt to manufacture outrage on a slow news day. That said, don’t snort condoms. You might die.